Bracing for Justice Kavanaugh | "Global Possibilities"
So it seems we should prepare for Justice Kavanaugh. One-third of the male justices on the Supreme Court will have been credibly accused of sexual misconduct, and those two are likely to form the core over time of a new majority that chips away at women’s reproductive rights. This whole process has been bad for civility in the United States, and I think it will end up being bad for the legitimacy of the federal courts. So we especially need heroes, and the Nobel committee offers us two. It awarded the Nobel Peace Prize to two people I admire hugely: Dr. Denis Mukwege of Congo and Nadia Murad of the Yazidi minority living along the Syria/Iraq border. Both have been courageous advocates for women and fervent opponents of sexual violence. (Which does, of course, make a contrast with a Senate that didn’t seem as attentive to concerns about allegations of sexual assault.) In any case, here’s a quick essay I wrote about Denis and Nadia, with links to Facebook Live interviews I’ve done with each of them. They are well worth listening to, especially at a moment you may need a bit of inspiration! 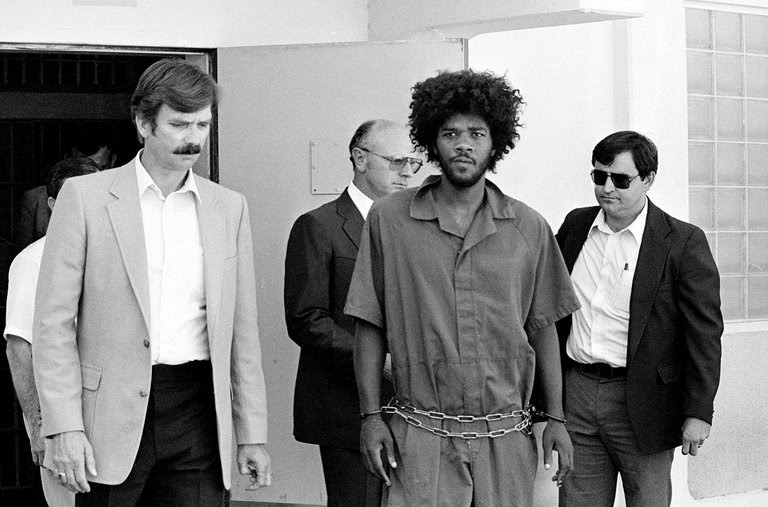 My Sunday column is about Kevin Cooper, the black man on death row in California whom I believe was framed for a quadruple murder. The white man who some believe actually committed the murders tells me that he has given a DNA sample and welcomes DNA testing of the evidence from the crime scene, so now both he and Cooper want such testing. I’m hoping this will finally get Governor Jerry Brown to move and allow advanced DNA testing. How can Brown possibly deny testing when a man’s life is at stake? I spoke to Brown about the case as well, as you’ll see in the column. Read! In the column, I also cite some of the evidence of just how arbitrary our justice system can be. Judges turn out to be harsher in the late morning, when they’re getting hungry, and also when their college alma mater has just lost a football game. Good grief, Governor Brown, test the evidence! The New York Times is launching “Your Feed,” a space in the Times iOS app for you to follow the topics and journalists you care about most. You download the NYTimes app from the iOS App Store, if you haven’t already, and then tap the icon on the top right corner to choose what to follow. You can follow me there too, if you’re not sick of me! And now here’s the column about a man languishing on death row for murders that I believe he didn’t commit, even as a liberal governor refuses to allow testing of evidence. Please read!